The Nesco DF-12 is a 840-Watt, 1.2-Liter Deep Fryer that cook food faster, and less oil is absorbed into the food, so it tastes better. It features an adjustable thermostat and hinged lid with a lid-release button. The stainless-steel housing and removable non-stick oil container ensure this device is easy to clean and durable. The Nesco Deep Fryer 1.2 Liter has many exciting features for users of all types. You can extend the lifetime of your Nesco Deep Fryer 1.2 Liter with the purchase of a FactoryOutletStore Factory Protection Plan. 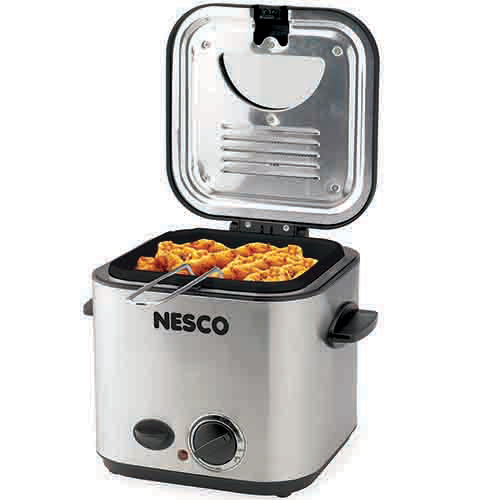 See the Nesco Deep Fryer 1.2 Liter gallery images above for more product views. 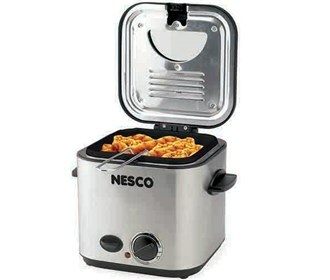 The Nesco Deep Fryer 1.2 Liter is sold as a Brand New Unopened Item.